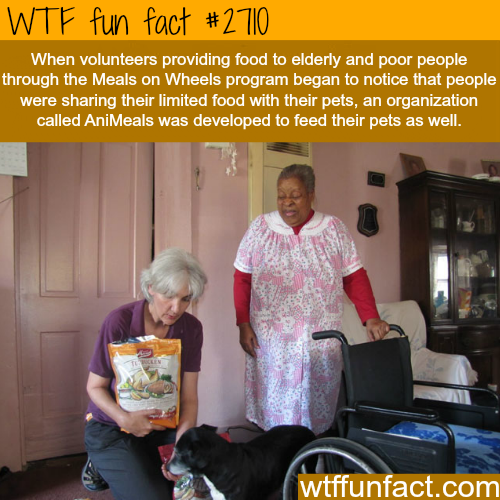 Many people living on a fixed income rely on the Meals on Wheels services in their area. But they’re not eating the food – their animals are. That’s why many distributors are now bringing people’s pets their own meals. Approximately 25% of the people receiving meals have at least one pet. Having the companionship of an animal shouldn’t be reserved for only the well-to-do, especially when a dog might be the only creature in this world they have to love. Most will gladly sacrifice a full belly to make sure their animal has one. 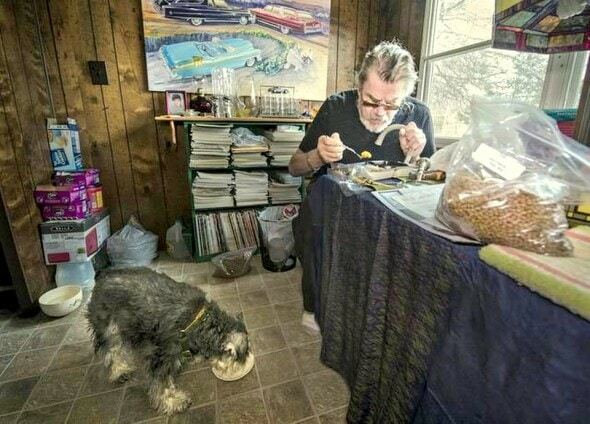 Jack Patrick, a 73yr old disabled artist watches his 7yr old Schnauzer Andy happily gobble down a plate of meatloaf. He’d love to be the one eating it, but refuses to let his boy go without. “What was I supposed to do – just eat in front of him? I can’t do that. He’s my best friend,” Patrick explained to the Kansas City Star. Thankfully now he no longer has to make that decision. Every Wednesday a week’s worth of dog food is brought to Patrick’s Warrensburg, Missouri home. And he’s not the only one getting this treatment. The program is sponsored by Banfield Pet Hospital, an Oregon-based company that provides animal food for more than 400 home delivery meal organizations. The Warrensburg program was launched when 76-year-old Air Force veteran Andy Polusny learned that many seniors were sharing their food with their hungry pets. “Some have had to give their pets away,” he said. “That’s not right. So we’re helping them out. We even have a cockatiel we take food for."